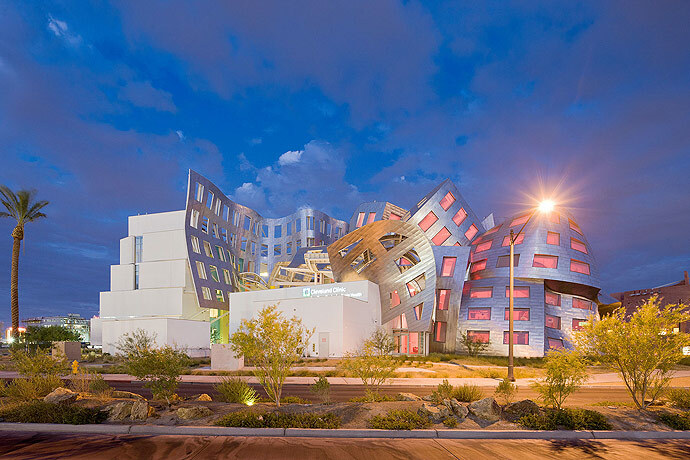 Frank Gehry’s high-profile Cleveland Clinic Lou Ruvo Center for Brain Health in Las Vegas draws attention -- and dollars -- to the cause of treating memory disorders. 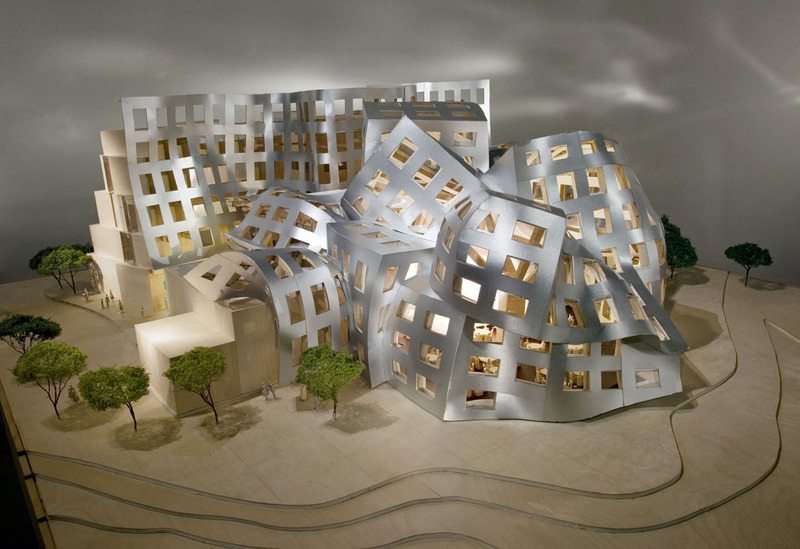 Keep Memory Alive (KMA) is a nonprofit organization founded in the mid 1990s by businessman Larry Ruvo. 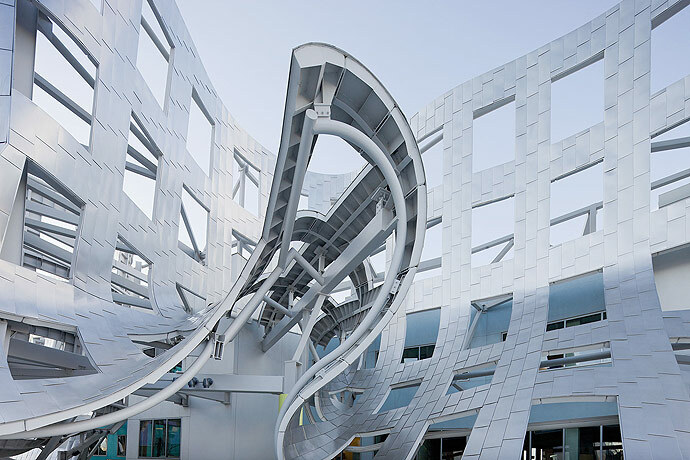 Established in honor of Ruvo’s father, an Alzheimer’s sufferer, KMA takes a multi-faceted approach to treating and caring for patients with memory disorders. 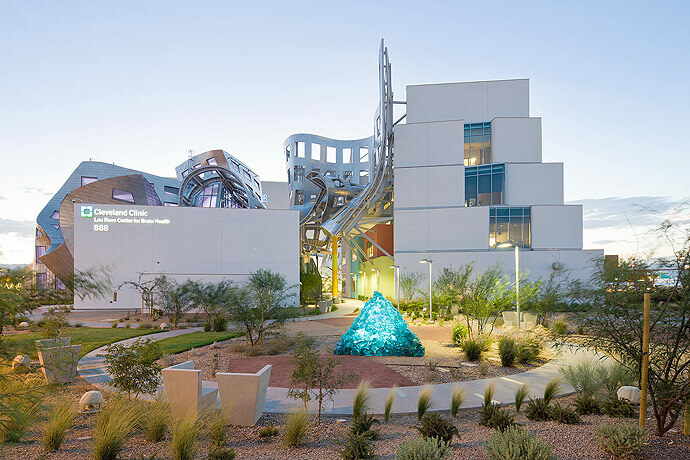 Ruvo recruited Frank Gehry to build a home for the organization’s research center in Ruvo’s home state of Nevada, and, in 2006, construction began on a facility in downtown Las Vegas’ Symphony Park development. 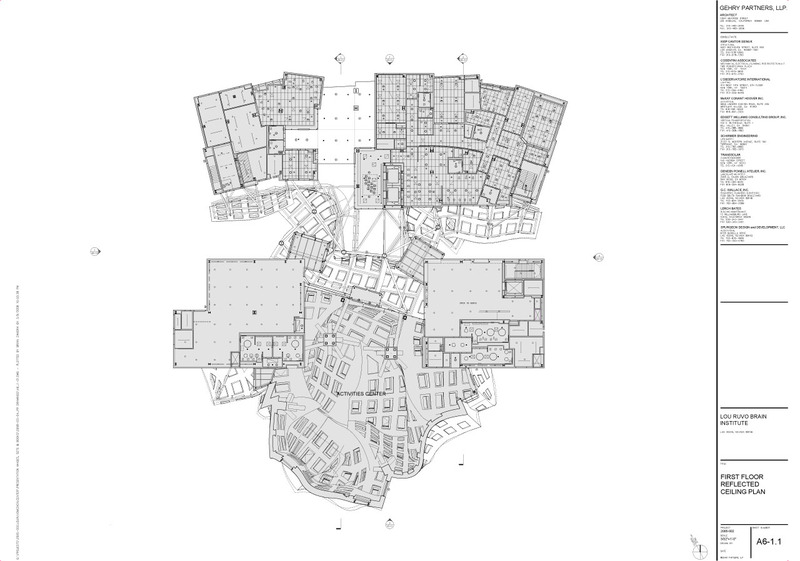 Ruvo simultaneously searched for medical institutions to occupy and operate the facility. 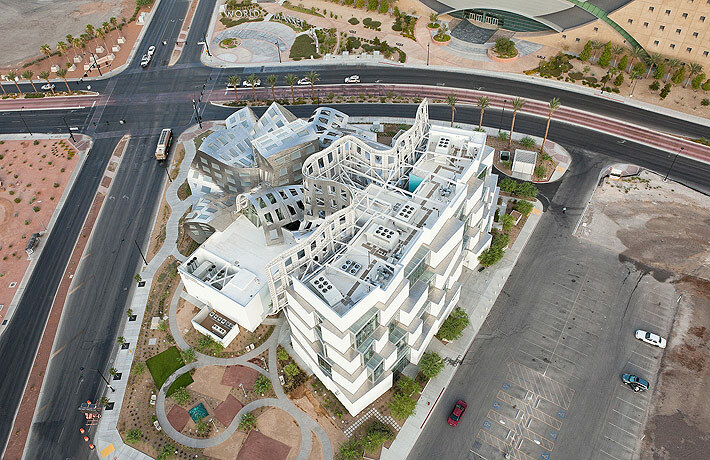 In 2009, KMA partnered with the Cleveland Clinic and soon inaugurated the Cleveland Clinic Lou Ruvo Center for Brain Health. 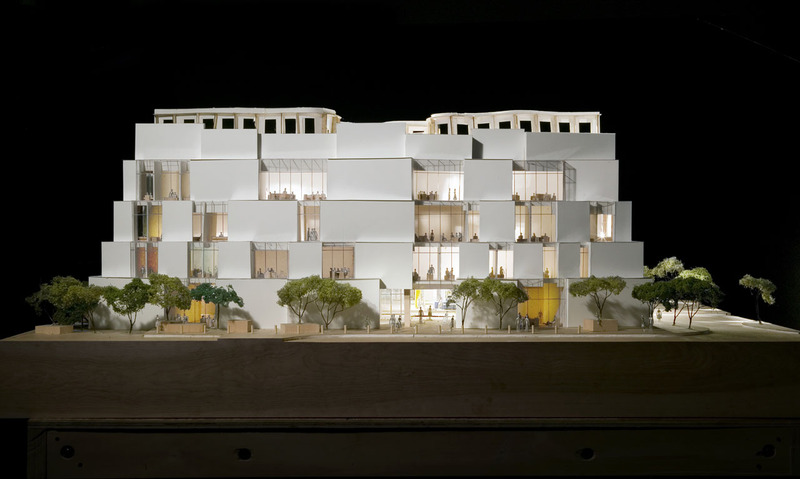 The streetfront portion of the Center is amorphous even for Gehry, while the four-story plaster and glass office block that occupies the rear of the site is surprisingly understated. 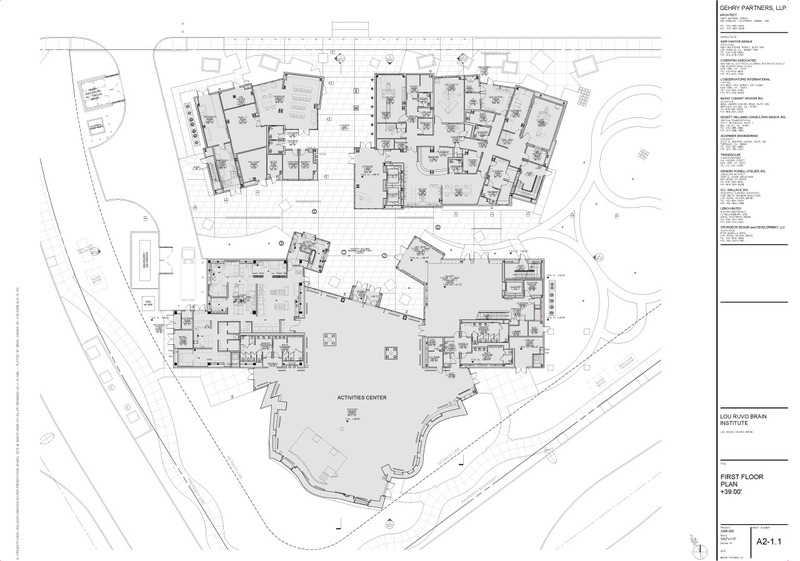 In addition to offices, this rear wing houses research and clinical facilities. 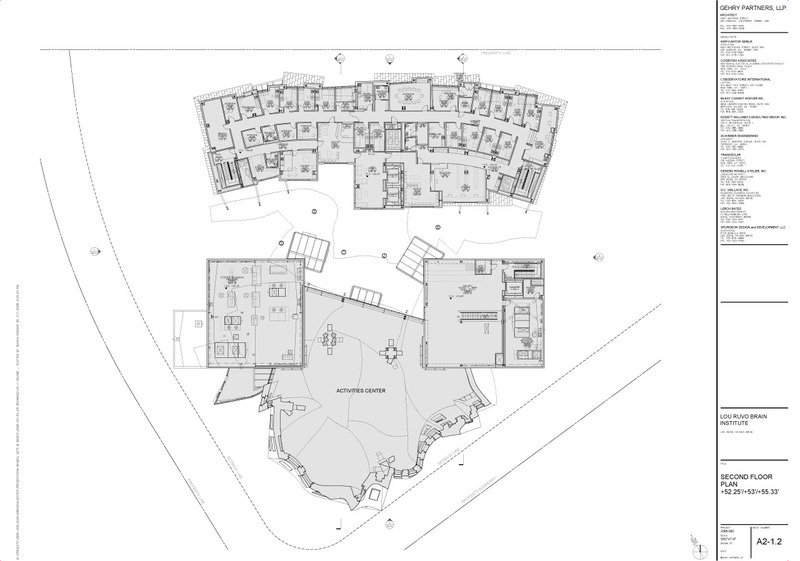 Separated by a courtyard is a wing containing a capacious activity center; accommodating 300 seated or 700 for a standing reception, this area is designed to make the most of its prominent location at a busy intersection. 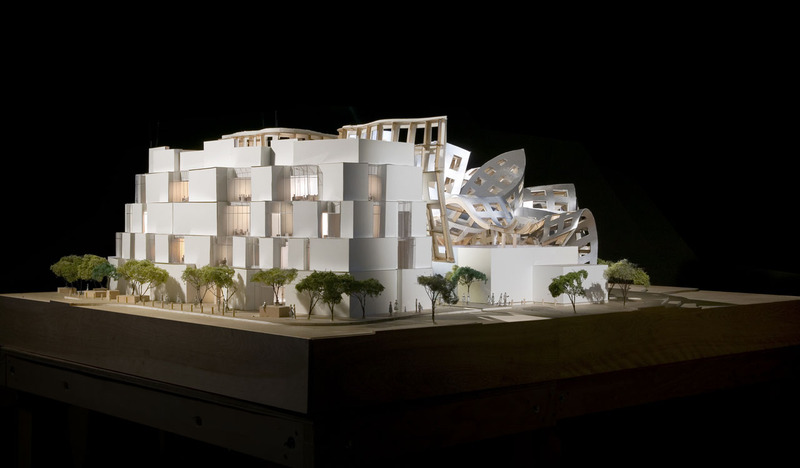 Serving as an event space for public functions, galas, and even weddings, it’s a major revenue generator for the Center, so the dramatic, sinuous forms of Gehry’s signature facades are given free rein. 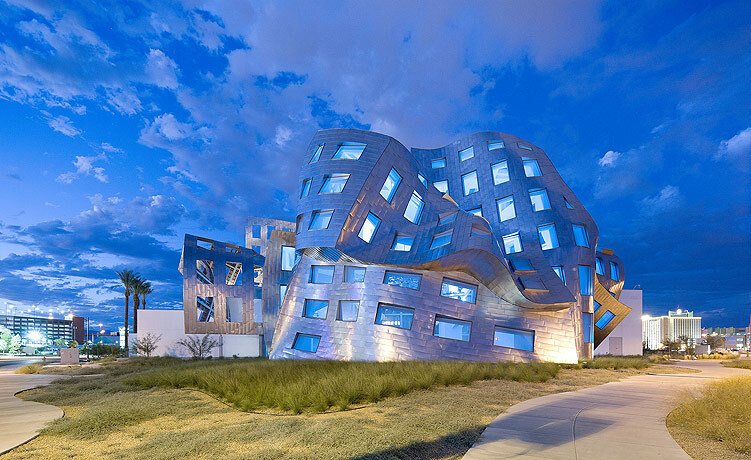 Methodically punched by rows of representational windows, the metal-clad "walls" slump and slide away from the building’s internal volumes, creating a suggestion of ruin that corresponds symbolically to the ruin of brain disease. 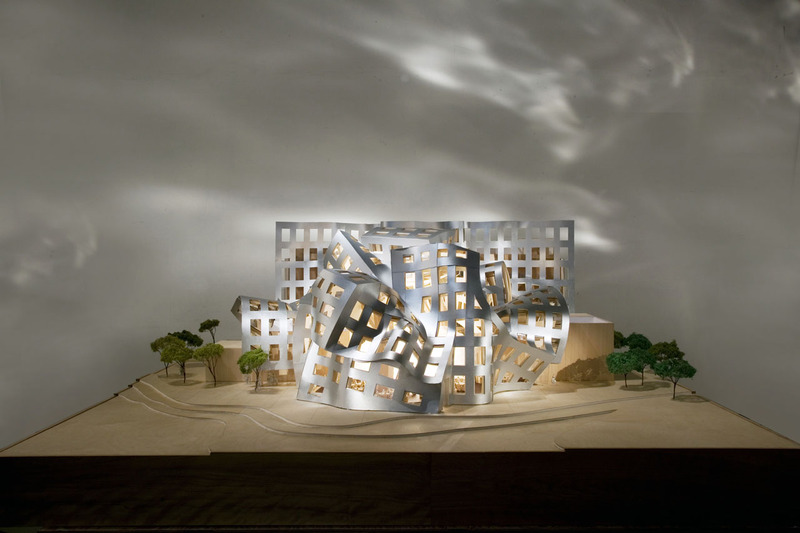 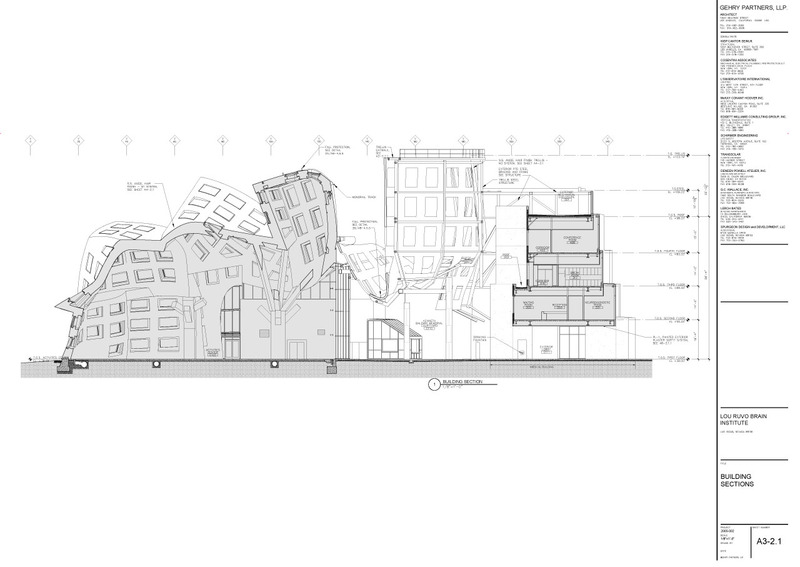 Gehry’s emphatic structure has succeeded in its mission of highlighting Ruvo’s cause. 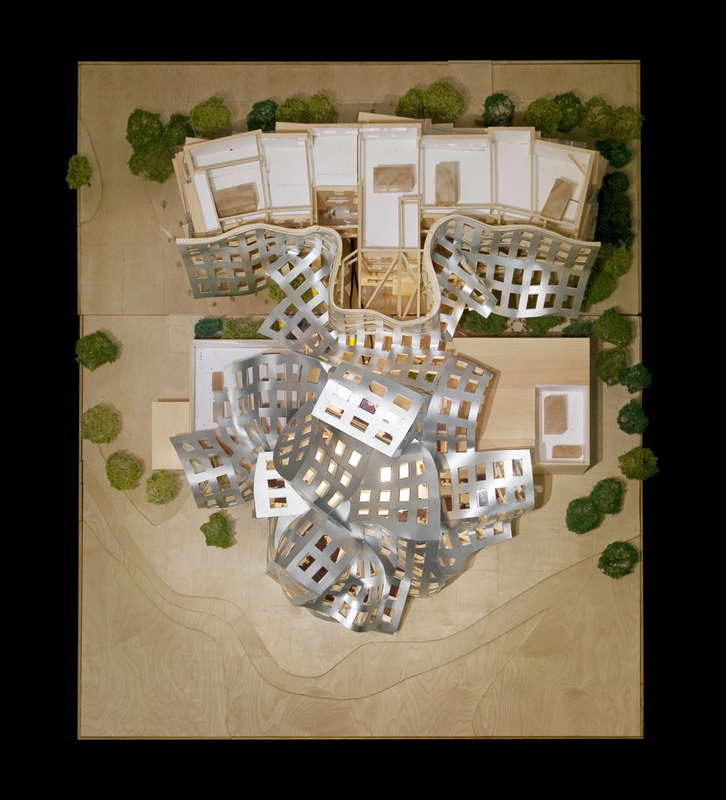 Given the fact that every 72 seconds someone in the United States develops Alzheimer’s disease (according to statistics published by the Alzheimer’s Association), it is an issue that is more than worthy of the fanfare. 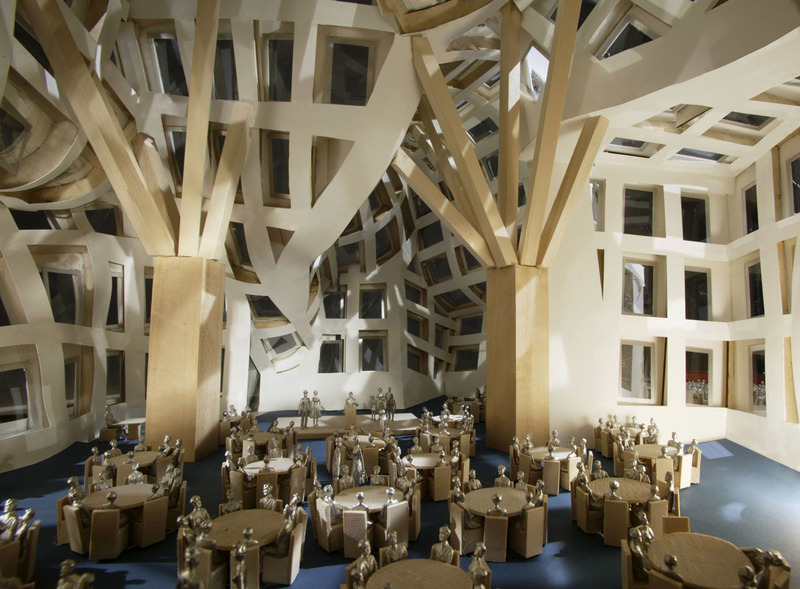 The great images in this gallery were provided by Iwan Baan. 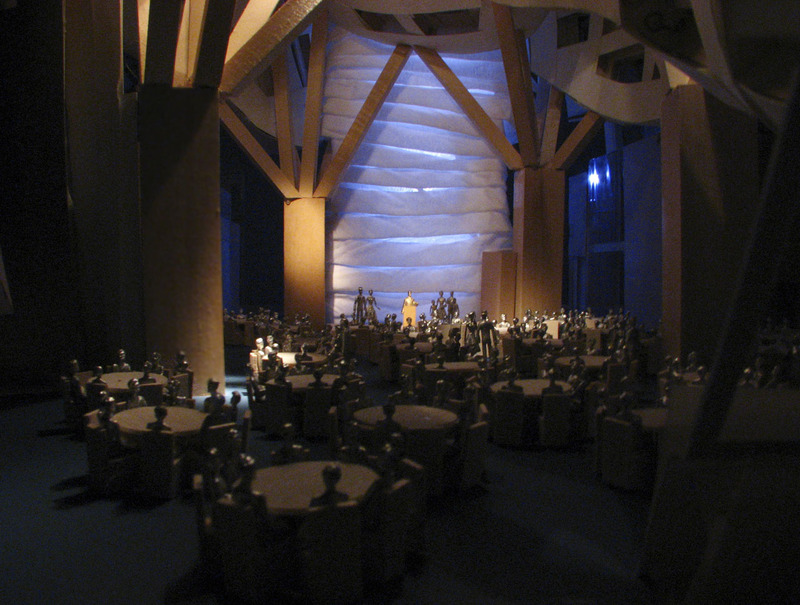 To see his entire set of the building please visit iwan.com.